Product categories of MIG Welding Handle, we are specialized manufacturers from China, Welding Handle, MIG Welding Handle suppliers/factory, wholesale high-quality products of Chinese Mig Welding Hanle R & D and manufacturing, we have the perfect after-sales service and technical support. Look forward to your cooperation! 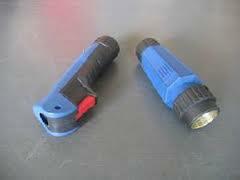 The MIG Welding Handle is most comfortable place in the whole Welding Torch . Because it is completely according to the shape design of the body's hands . When people hold it, they are fully fit.